This is a complete do-it-yourself course on building any type of 1911 pistol, presented by the American Gunsmithing Institute. The three volumes give instruction on the tools, techniques and parts used to create a custom pistol. 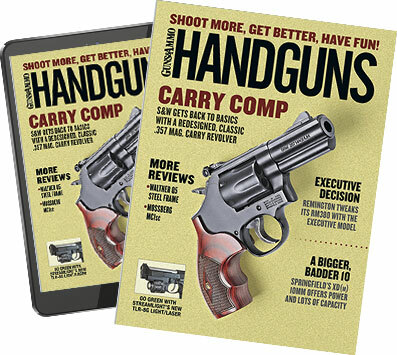 The seven separate videos use in-depth, step-by-step instruction to teach how to build a pistol with professional results. In typical AGI fashion, everything is covered in detail using extreme close-ups, charts, detailed drawings and mock-ups along with the knowledge and guidance of a professional gunsmith. The 11.5 hours of instruction are the equal of more than six months of vocational-school gunsmith training. As with all AGI courses, The Ultimate 1911 Video Course comes with a complete money-back guarantee. Every aspect of building the pistol is covered in detail, from choosing the parts to fitting the barrel to checkering and finishing the metalwork. In short, everything you need to know to design and build the 1911-type pistol is covered. The set includes Volume 1--Building the Reliable 1911 (#308), Volume 2--Building the Race-Ready Kit (#309) and Volume 3--Building the Wide-Body Pistol (#216). The Ultimate 1911 Video Course (Part # 1911 Kit) retails for $179 plus $12 shipping and handling. Individual volumes are $69.95 each from the American Gunsmithing Institute, Dept. HG, 1325 Imola Ave. #504, Napa, CA 94559; (800) 797-0867; www.americangunsmith.com.